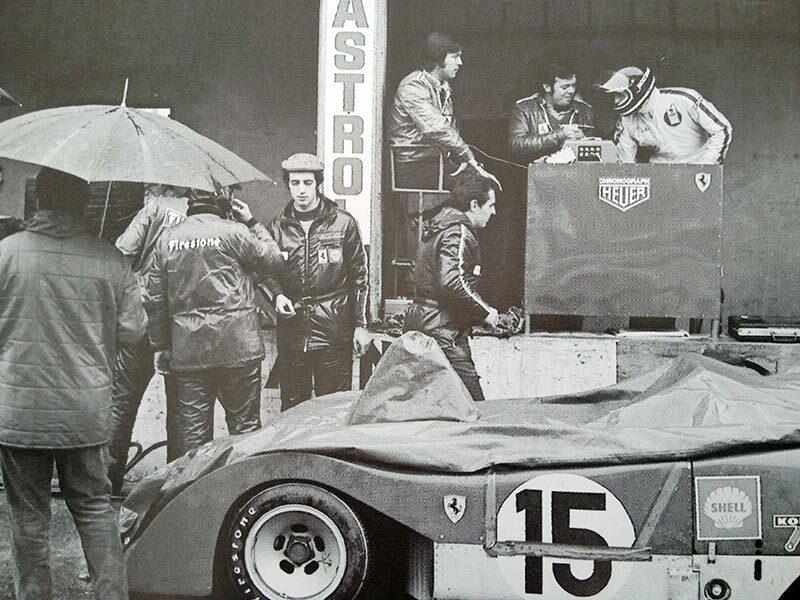 On 7th of September 1975 Niki Lauda wrote motorsports history as the new Formular One champion for Ferrari. 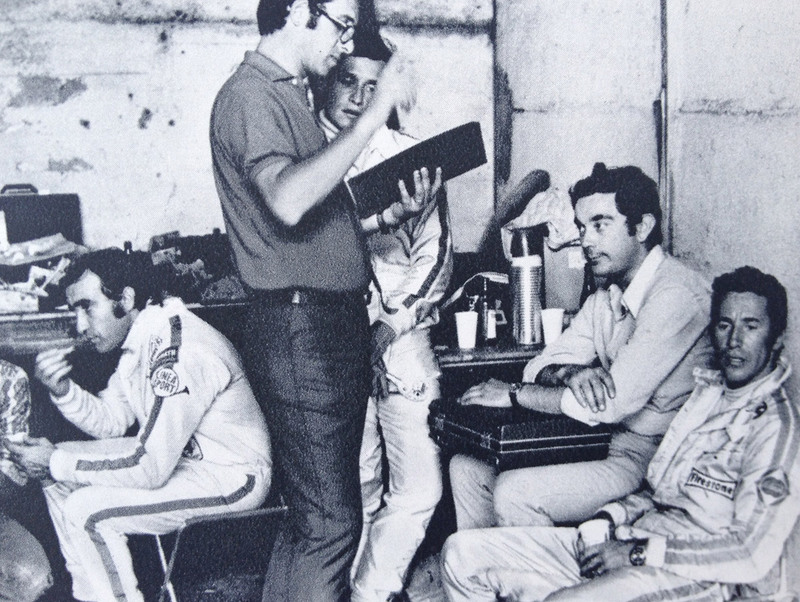 Eleven long years had past since the last title for the Scuderia Ferrari. 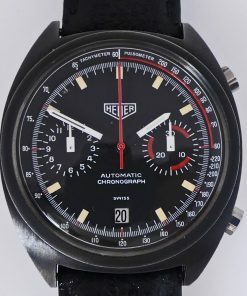 For Heuer, the main sponsor, this was an enormously important success. 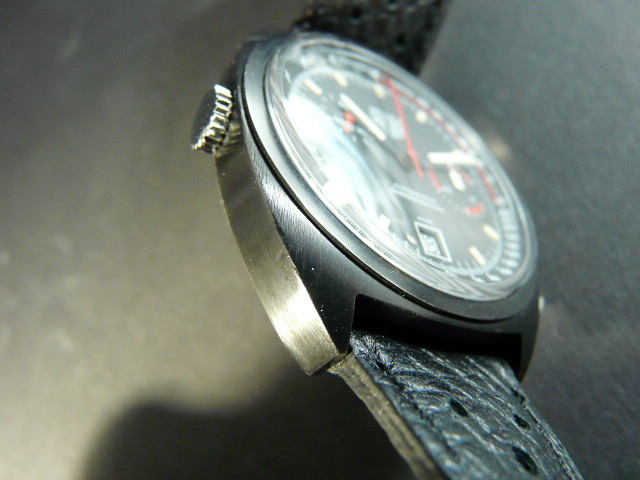 The Heuer logo was written in large letters on the front of the Ferrari´s chassis. 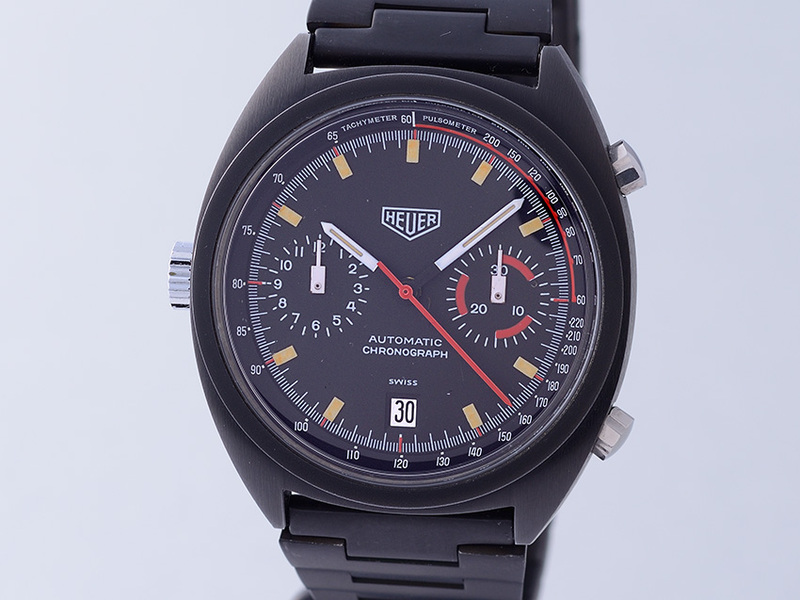 Heuer was so pleased with the result that they created a new model line in honour of the event. The model line was described as a special limited series in the catalogue and was launched in celebration of the Ferrari World Championship achieved in 1975 by Niki Lauda. 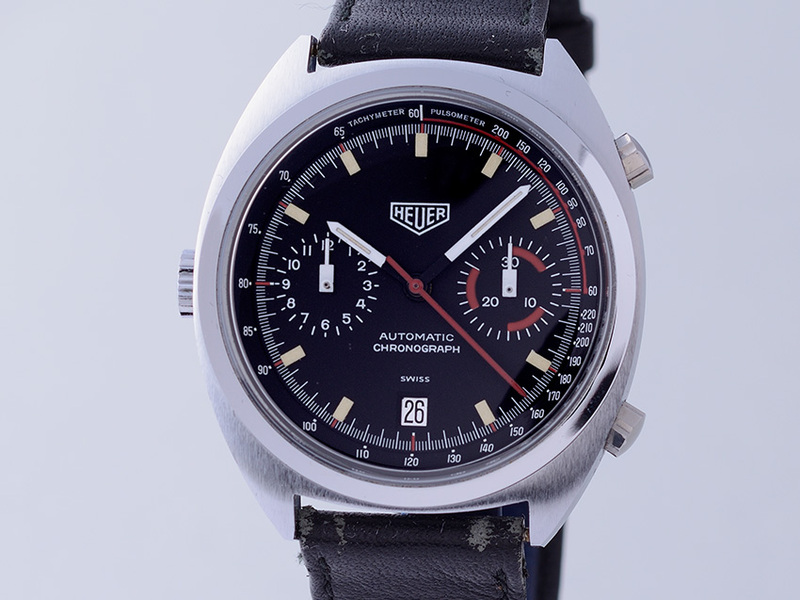 This limited edition timepiece was delivered in a red Heuer racing helmet. The design of the case was inspired by the Carrera chronograph, but was available with chrome or black anodized steel case. 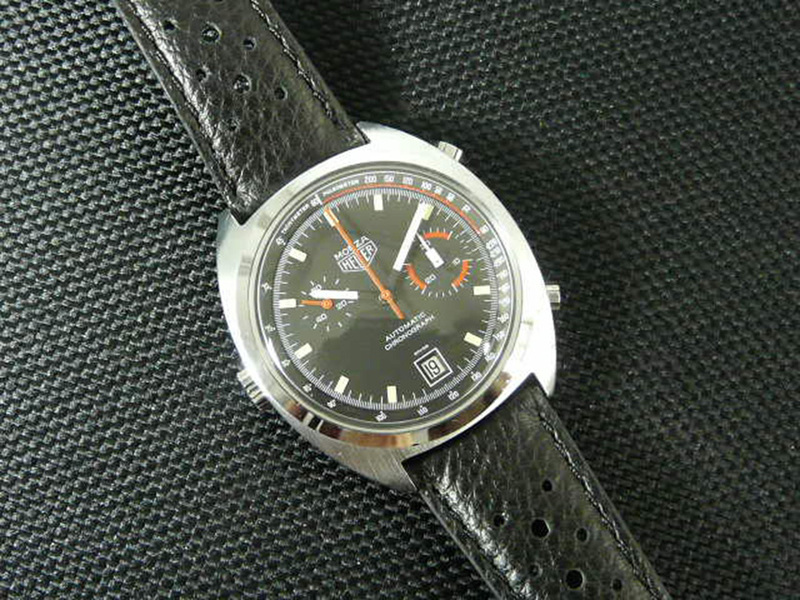 The first Monza generation was provided exclusively with a calibre Heuer / Buren 15. 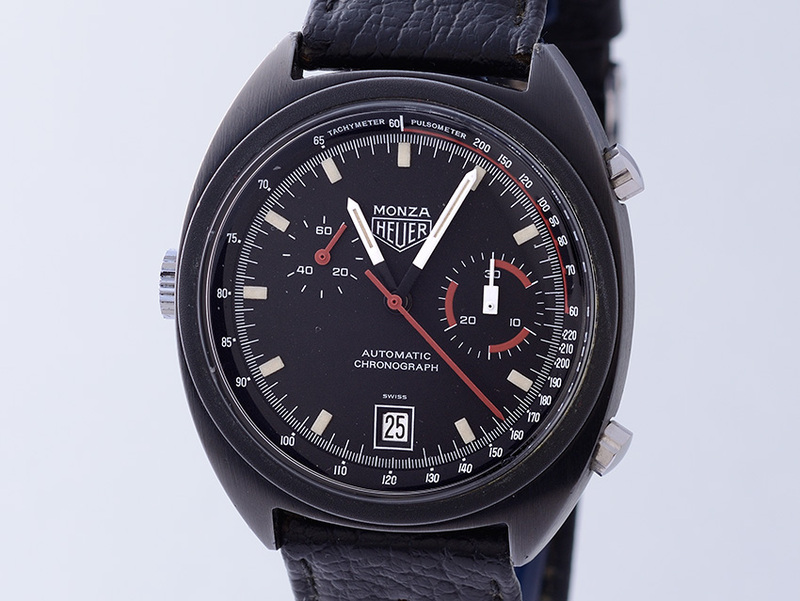 A pulse- and tachymeter scale was printed on the dial, both important for the world of motor sports. 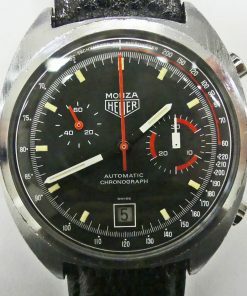 The Heuer Modena chronograph is identical to Heuer Monza. 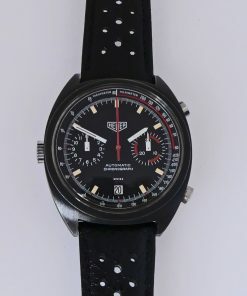 In 1977 the German catalogue presented Heuer Modena and at the same time the English catalogue Heuer Monza. 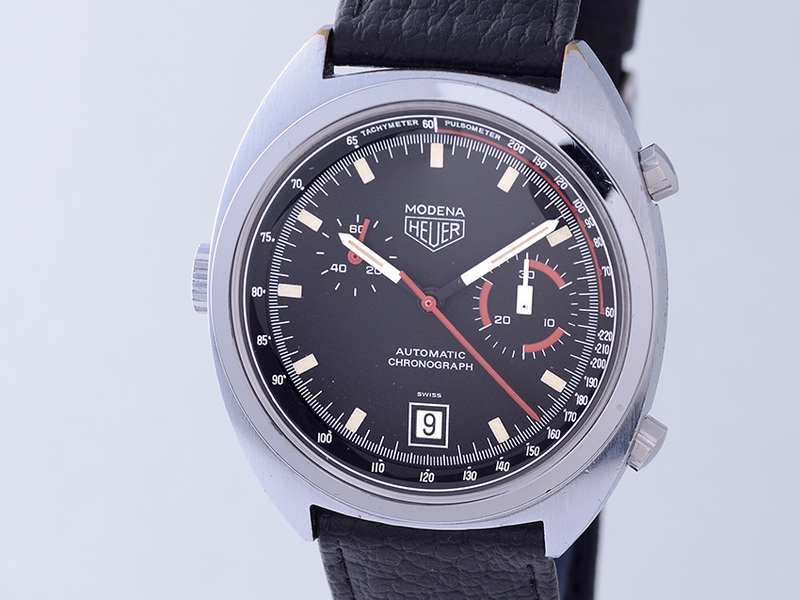 The reference numbers of both model lines are identical, the back case of Heuer Modena is engraved with Heuer Monza. 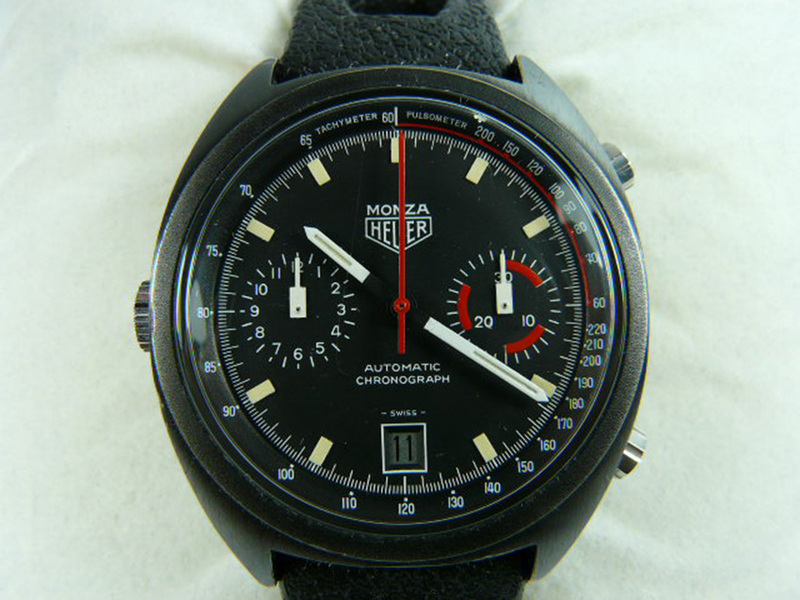 It is logical to assume that Heuer Modena was specially produced in a low quantity for the German market, based on the case of Heuer Monza to reduce cost of production.